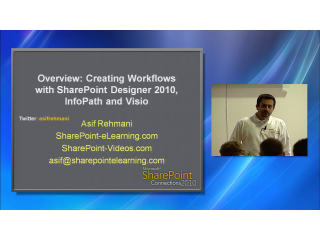 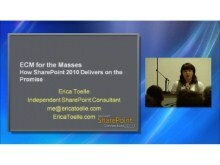 This session will provide you with an overview of SharePoint development with Visual Studio 2010. 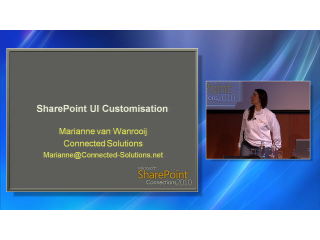 Specific topics covered will include an overview of the project and item templates, a walkthrough of the designers included, areas of extensibility within Visual Studio 2010 that can enhance SharePoint development, and a number of demonstrations. 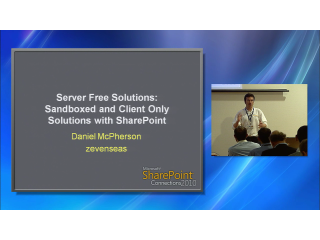 This session is presented by Steve Fox during SharePoint Connections 2010 in Amsterdam. 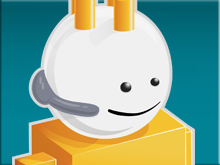 Steve Fox has worked at Microsoft for 10 years across a number of different technologies including natural language, search, social computing, and more recently Office and SharePoint development. 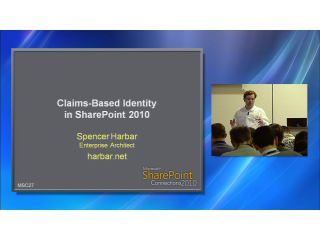 He is a customer-facing Sr. Evangelism Manager and regularly speaks to developers about Office and SharePoint development. 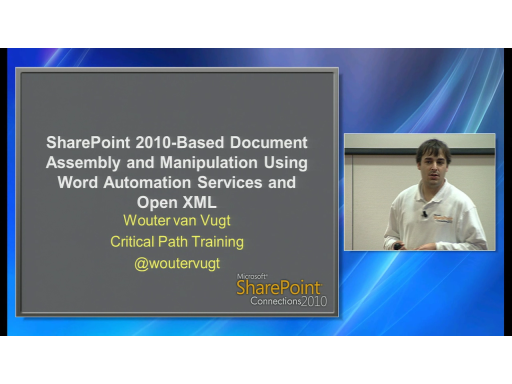 He has spoken at several conferences, contributed to technical publications, and co-wrote a number of books including Professional Office Business Application Development: Using Microsoft Office SharePoint Server 2007 and VSTO (WROX) and Professional Microsoft SharePoint 2007 Development Using Microsoft Silverlight 2 (WROX).